The WJTA Conference & Expo is the annual tradeshow and biennial technical conference of the WaterJet Technology Association. The Conference & Expo serves a range of waterjetting, vacuum equipment, industrial cleaning and related applications and technologies. 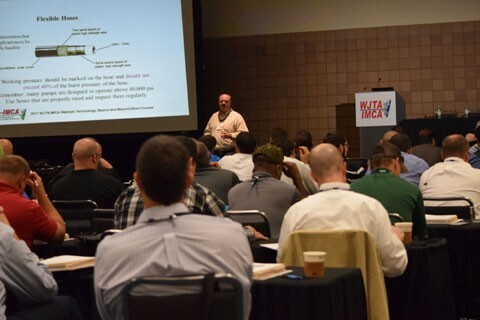 As the primary global event dedicated specifically to high pressure applications, industrial vacuum, and related service lines, the WJTA Conference & Expo provides participants with unique learning and networking opportunities. The 2019 program will include educational sessions, a daylong pre-conference short course, technical papers and case studies, outdoor live equipment demos, industry appreciation reception, and an expanded exhibit hall with hands-on heavy equipment displays. Plan Now to Participate in the 2019 Conference & Expo!